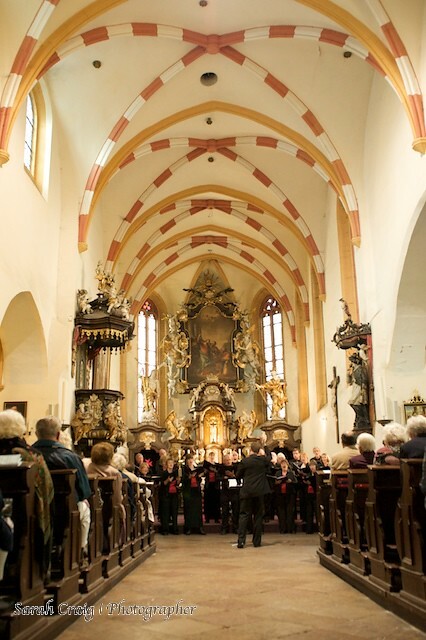 Over the bank holiday weekend I went to Prague with a choir my mum performs with, St Georges Singers. I'm going to be naughty and select three images and put them into my favourite photo Friday post rather than do a separate post for the trip. If you click the images and go through to the flickr page you can see the rest. This was taken at St Peter's Church, which was pretty much central Prague, and featured the most gold in one space I think i've ever seen! I love this shot because it gives a view of the whole scene, the audience, the ornate church, the high ceiling and obviously the choir performing. 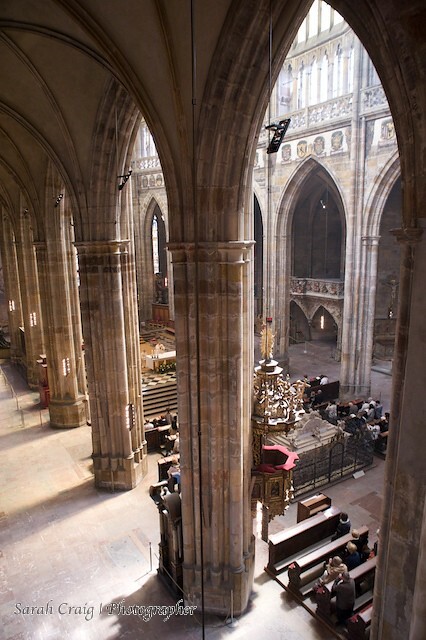 St Vitus Cathedral at Prague Castle really takes my breath away, and this wasn't the first time I'd been. The choir were lucky enough to perform as part of the Sunday Mass, which meant I was lucky enough to get this picture featuring the service going on rather than the hundreds of tourists that flocked in once it was finished. The choir was performing next to the organ, hence the height. Again very lucky, I just love this image! And finally, before I began writing this post I received a message from a friend saying this image would be his choice for favourite photo Friday, so it seems rude not to put it in! 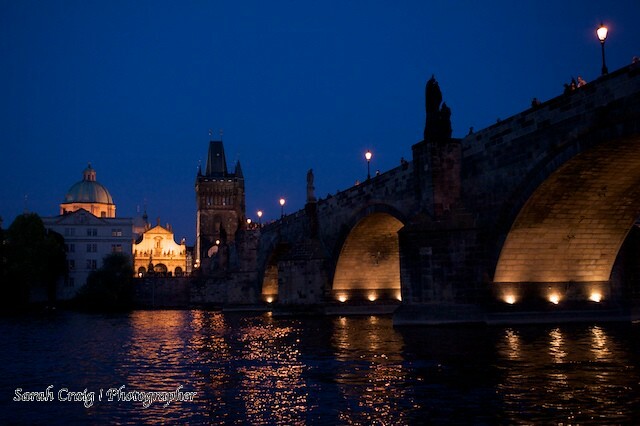 Taken on the dinner cruise the choir went on, this is the famous Charles Bridge at twilight. I wasn't particularly sober at this point leaning out of the side door of the boat (!) I really tested my new camera's low light abilities. This was hand held 1/250th of a second at ISO2500! Tomorrow is time for Ross and Bex's wedding and I am very excited, however I moved house this week and as a result I am building a backlog of weddings to edit. Apologies to those waiting. I hope to have a preview to post on Sunday.